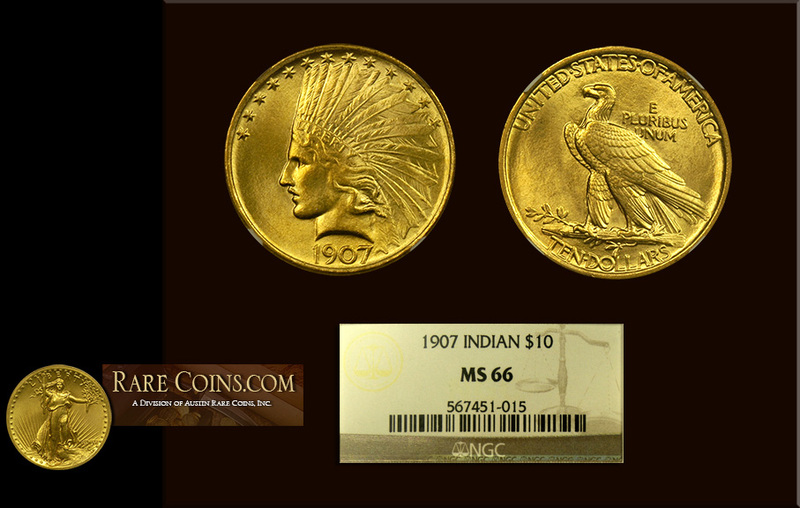 This gorgeous first year of issue $10 Indian is magnificent in all regards. Like a miniature sculpture, it commands attention and is a reminder of the greatness of the United States. Designed by Augustus St. Gaudens under the authority of Theodore Roosevelt, it is a show stopper. Only 41 coins are known finer than this one.